What’s an entrée without an appetizer? ECHOGEAR HDMI cables are the perfect complement to your shiny new mount. And all this time you were thinking we were a one-trick pony, shame on you. If you’re into boring specs like we are, then you will appreciate how these cables carry Ultra High-Definition 4K content, are Super Slim for maximum flexibility, smaller connector head for those tight spaces, and super-duper fast frame rate for crisp video – just to name a few. 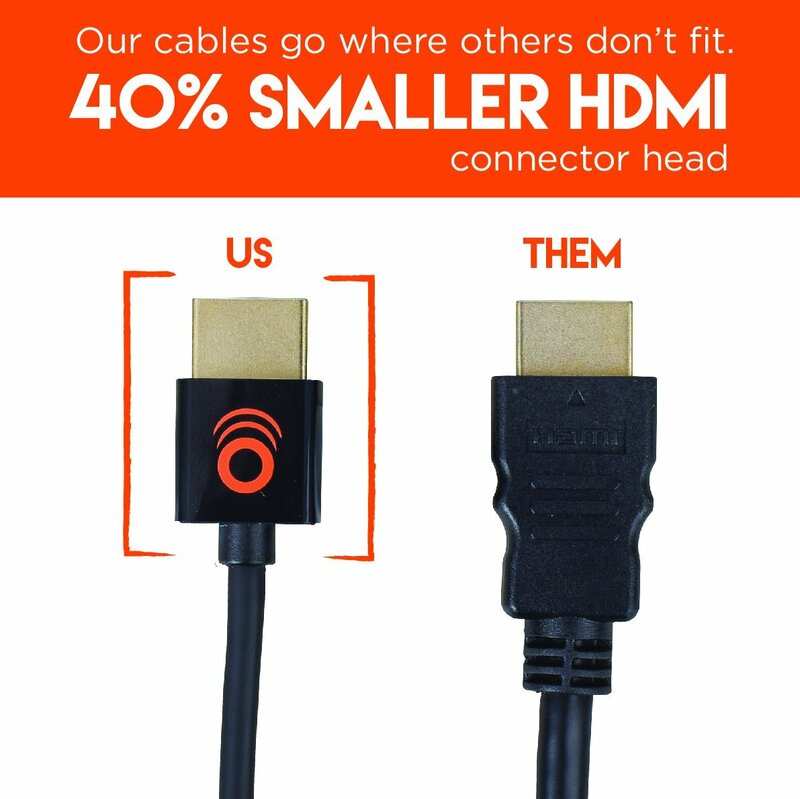 ECHOGEAR HDMI cables – don’t leave home without them! Or, stay in your home… and use them. Like you’re supposed too.